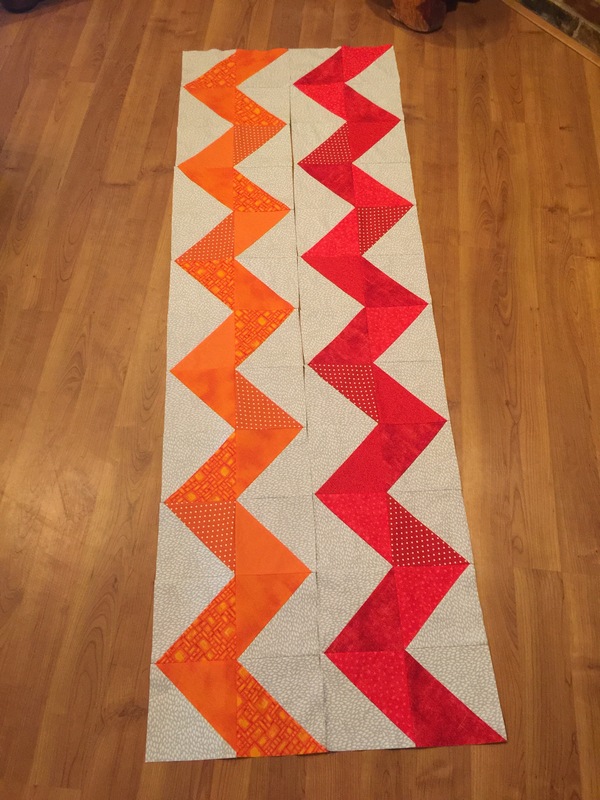 The orange row is sewn together! Five more colors to go. I’m not sewing the completed color rows together until all of them are complete and I can see in what order I think they look best. I’m thankful to have another day off from my outside employment tomorrow. Maybe I will get some more sewing done. Happy Labor Day! I am lovin your Chevrons, & the backing fabric you found is so sweet!